A fun place to do serious business: February 11-13, 2019. The Tobacco Media Group (TMG) announced the dates of TPE 2019. Taking place from February 11-13, 2019 in Las Vegas, Nevada, the show brings together top brands and buyers from the premium tobacco, tobacco-related, vapor, and alternative industries. TPE 2019 is aimed at starting the new year off with a lively, enjoyable, and educational approach to business growth and profitability, and offers the newly-expanded open show floor times of 1:00pm-5:00pm on Monday, February 11; 10:30am to 5:00pm on Tuesday, February 12; and 10:30am-4:00pm on Wednesday, February 13, 2019. Featuring more distributors, wholesalers, and square footage, the 2019 show floor offers expanded opportunities for exhibiting, purchasing, learning, and networking with industry friends and acquaintances. Thousands of products will be offered at exclusive show pricing, and a tactical educational track brings additional value with informative and entertaining seminars and discussion panels led by industry standouts. Building upon their partnership with TMG, National Association of Tobacco Outlets, Inc. (NATO) will be co-locating at the TPE show as a powerful resource and guide to successfully navigating the current and ever-changing legislation that affects all aspects of the industry. The NATO-led conference sessions are a wealth of information and inspiration for exhibitors and attendees alike. For general details, or more information about exhibiting or attending TPE 2019, please visit www.tobaccoplusexpo.com. Under the banner of Tobacco Media Group (TMG) owned by Kretek International, Tobacco Plus Expo (TPE) is the largest B2B tobacco trade show highlighting the full-spectrum of tobacco, vapor, alternatives and general merchandise products available on the ever-evolving market. 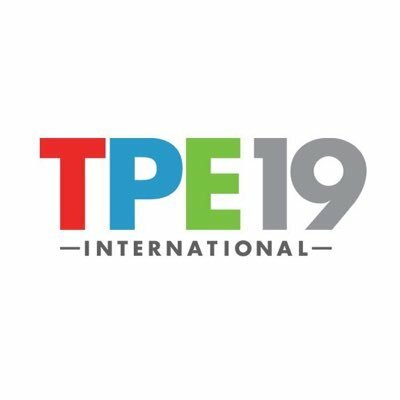 TPE 2019 is planning to deliver the industry’s most compelling content, products, and information, and will be held February 11-February 13, 2019 at the Las Vegas Convention Center. This article originally appeared in Smoke & Vape Magazine.